While it seems ridiculous to call any video game a sport, millions of fans worldwide of online games like Hearthstone, World of Warcraft and League of Legends would beg to differ. The degree of strategy, planning and knowledge required to be successful at these games is staggering, as are many of the prize purses that elite players fight to capture on any given day on the internet. eSports are essentially video games where people can compete against each other in an objective, quantifiable manner. Gamers match wits against each other in a battle of strategy and wit, and while luck sometime plays a role, the more skilled combatants prevail over the long run. The drama that accompanies these fun but swingy games have drawn quite the following. Over the past few years, all the eSport providers have grown collectively to become a multi million dollar industry, with game servers raking in ever increasing amounts of revenue from tournament fees and subscriptions. While some people scoff at the idea of calling massive multiplayer competitive video games “sports”, there is no question that this form of entertainment is here to stay, and has many years of growth ahead of it. Which eSports are the most popular? There are many categories that eSports subdivides into, but there are a few games that have garnered the most attention in the early years of online streaming. 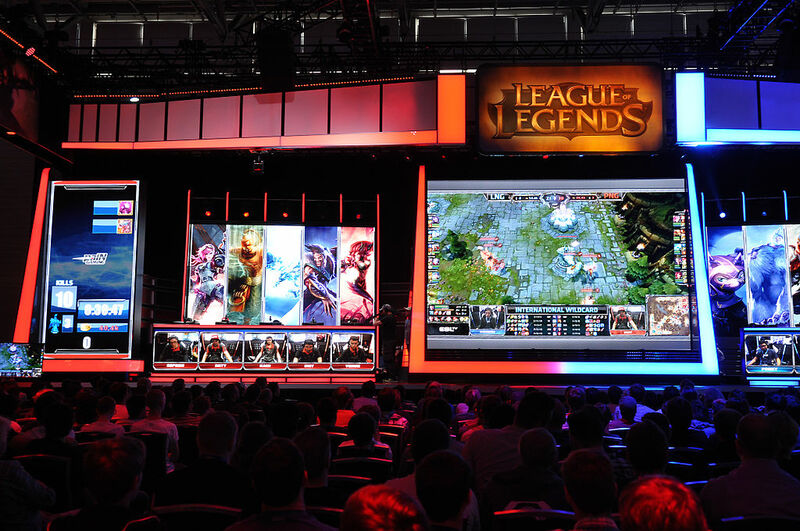 League of Legends is one of the giants of the present moment, as its RPG/battle arena style of gameplay has attracted upwards of 300,000 viewers during its most recent championship final series, a number that will only rise as a combination of improving streaming technology and the rising popularity of this addictive franchise come together over the near future. Other eSport games that regularly draw large amounts of viewers include Counterstrike (a 1st person shooter that has been around for more than a decade), FIFA football, and online real money poker. For the best information and odds on the best eSports tournaments, be sure to check out web sites dedicated to expert analysis, so that your wagers will have the best chance of working out in your favor. Where can I go to watch them? While the websites of most eSport games allow spectators to enjoy tournament action through their platform, Twitch (formerly known as Justin.tv) has risen to become the world’s biggest streaming site, allowing eSport fans to follow their favorite players as they play their chosen game, either live or on a short delay. Over 100 million people log on this site to watch video game action every month, testifying to the rise of eSports as a solid trend, and not a fad that is doomed to fade away any time soon.